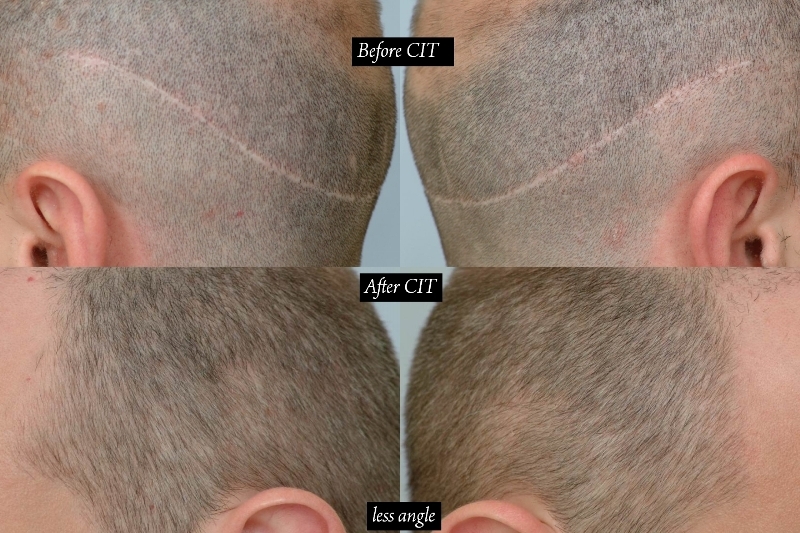 I’ve had strip surgery in the past with incredible results, but now im wondering when i have another procedure done (which will be FUE) if they can implant into the scar as well to fill it in. Any one have and knowledge of this topic? i think if you look and do some research you’ll see its very possible to do what you want, seems some docs have more success than others with it though. Many had this done before with good results. I am considering doing the same for myself one day. 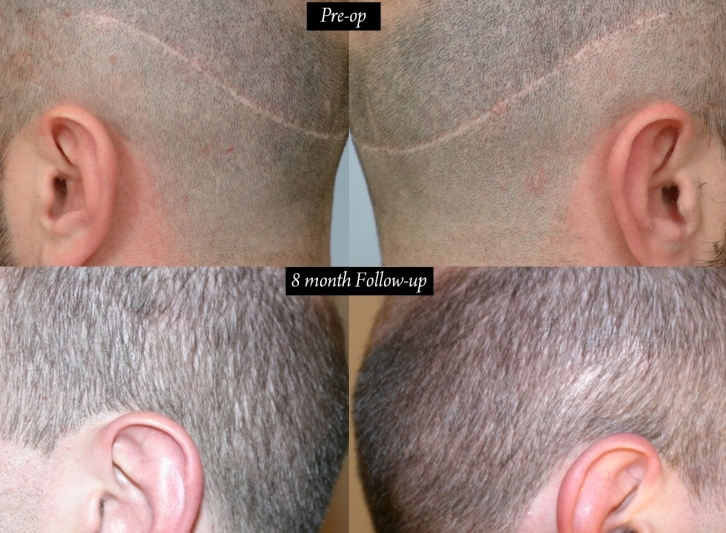 This one is from Dr. Cole, note that only 80 grafts were used. This one is by Dr. Jones. 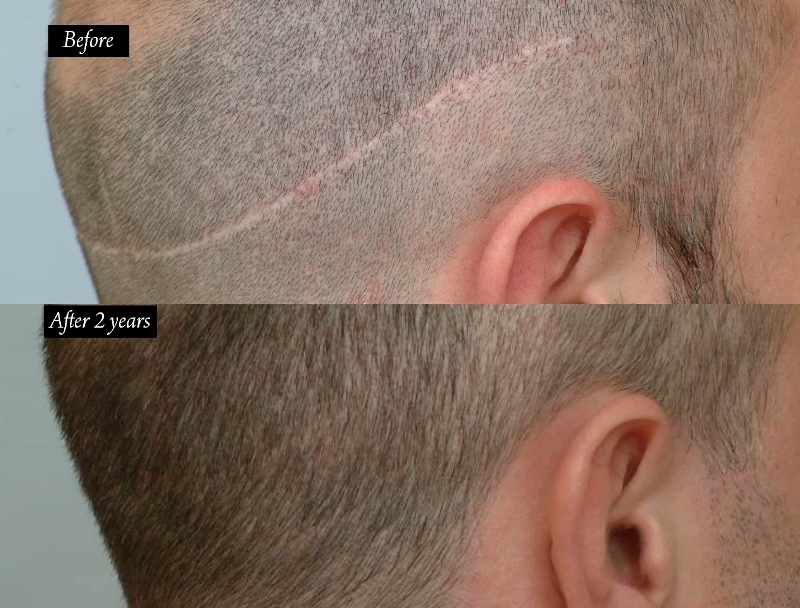 1000 grafts using mixture of scalp hair and body hair as donor. 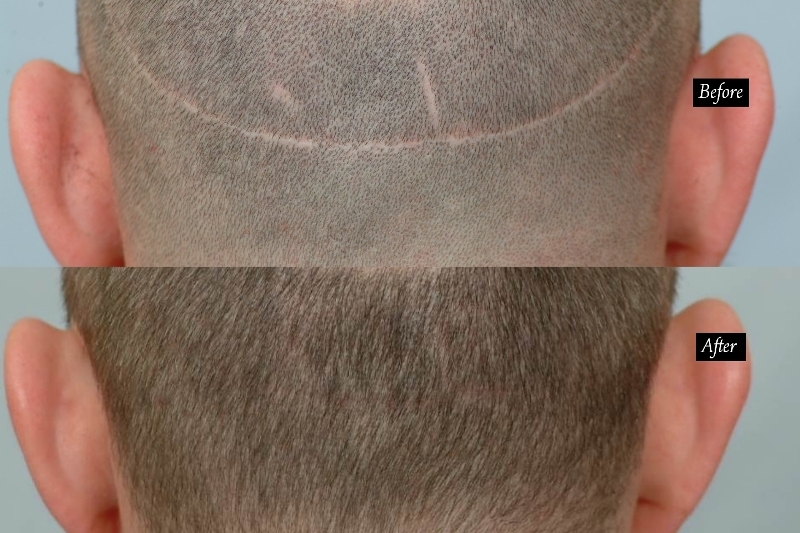 Can you upload or email me hairsite@aol.com pictures of your scar? This way I will have a better idea what you need. I tried to go to your blog but it is not loading or extremely slow.